Pro-Line is proud to introduce an all-new Short Course wheel design: the Formula 11 spoke Short Course Wheel. 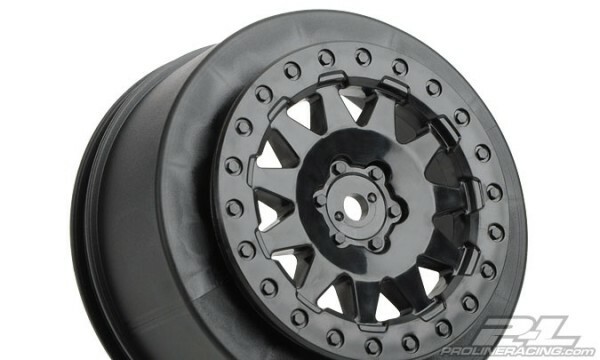 This new wheel fits all ProTrac offset vehicles and features reduced webbing to properly fit the Losi SCTE 4×4 kit. The F-11 wheel styling brings the tough and rugged look of full-size Short Course trucks straight to your truck. The wheel features a molded-in bead-loc ring, 11 triangulated spokes and a scale P-L logo. 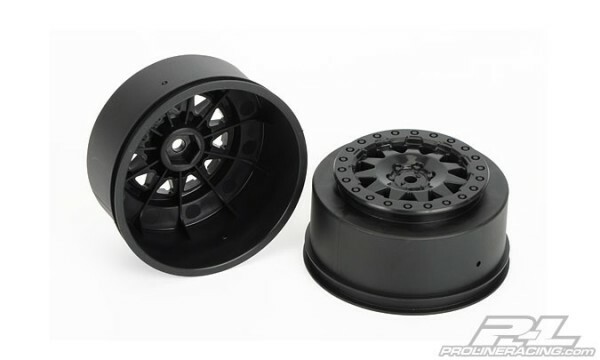 This is a must have wheel for all Pro-Line SC fans!